Last week's third semiannual hugathon raised $300 for a school in the Himilayas, an event organizer tells Mads. In thirty hours, members of the Jhamtse Club gave 1,026 hugs. 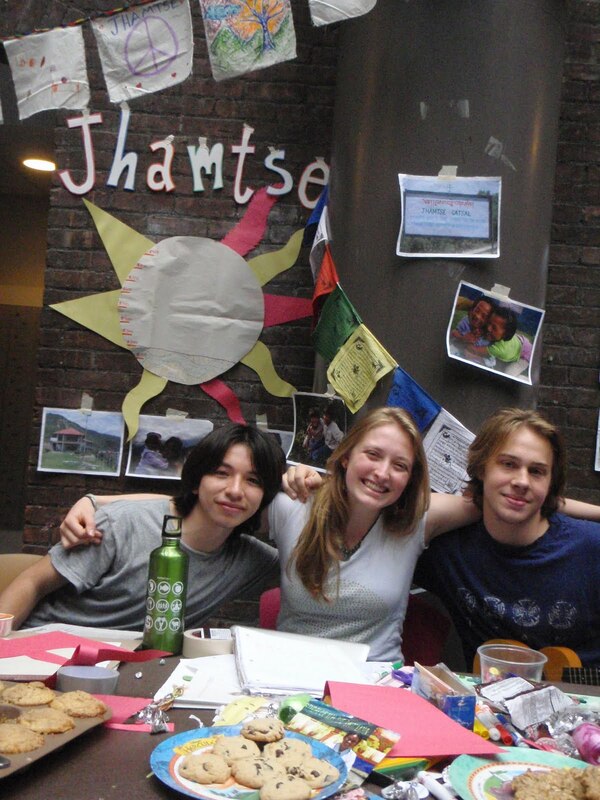 "Jhamtse Club hosted our third Hugathon in the College Center this Wednesday and Thursday. Over the course of the 30 hours, we gave out 1,026 hugs and raised over $300 to support Jhamtse Gatsal school in the Himalayas (and the hugs to celebrate and emanate the premise of love and compassion at the core of the school’s philosophy). The club would like to extend a HUGE thank you to everyone who supported us, whether with donations or with enthusiasm. We’d also like to say a huge, huge thanks to the crew team, whose members volunteered throughout the event to help us pull it off. They noted that the Vassar community has been really generous and supportive of their team this year, and they wanted to take the chance to pay forward some of the kindness shown them. Jhamtse really, really appreciated their help, and extends an enormous THANKS for making the Hugathon such a success."